A record 29.1 million Latinos are eligible to vote in the 2018 midterms across the U.S., according to the Pew Research Center. In Texas, about 5.4 million could vote and swing certain elections in favor of some candidates. But will they? That’s the question many politicians, activists and Latino advocacy groups have been asking for years now. 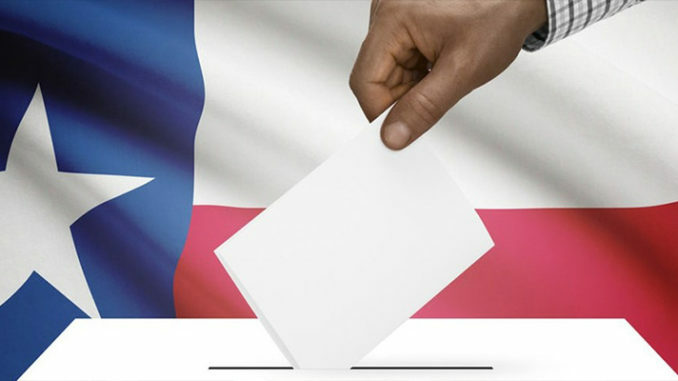 A new survey conducted by Jolt Texas, a left-leaning voter mobilization group, found that it may be a combination of factors, including mistrust of the political process and not having enough information about elections, that contributes to low Latino voter turnout in the state. Half of those polled said they feel cynical about politics and a third say they don’t trust politicians. Almost 40 percent said they lacked confidence or trust in the political process. Slightly more than 25 percent said they didn’t identify with candidates. And a third said they didn’t see voting as a civic duty. The study, titled We Are Texas, surveyed 1,016 Latinos during in-person interviews throughout the state, ranging from all age groups, likely voters and disinterested eligible voters. The survey was conducted from April 1 to May 16. University of Texas political science lecturer Victoria Defrancesco Soto said the presence of these attitudes did not surprise her but the rates of distrust are higher than she would like to see. The study also looked at how many Latinos in Texas are ineligible to vote due to a lack of citizenship. About 2.25 million voting-age Latinos in the state are not citizens, including about 124,000 recipients of Deferred Action for Childhood Arrivals, an Obama-era program that granted two-year renewable work permits to undocumented immigrants brought to the country as children. Jolt founder and director Cristina Tzintzun said Latinos in the state haven’t mobilized en masse because they don’t realize just how much weight they could have on elections. But she said that candidates and political parties vying for their votes are responsible for motivating Latinos to get to the polls. “Latinos are not mystical creatures. Everyone asks ‘How do we get Latinos out to vote?’ And it’s actually pretty simple. You spend money on registering them, you spend time with them and you speak to the issues they care about,” Tzintzun said. Gennesis Roman, a high school English teacher in Dallas, said that voting for her has been almost second nature since she turned 18. She said she’s voted in almost every election since 2010. Roman said that she knows not all Latinos, including her friends and family, feel that way. She said she feels the only way to get them to the polls is by showing them how voting directly impacts their lives. “Go to where we live because if you really want us to turn out for you, then you have to make the effort to come out to us,” Roman said. Earlier this year, a national Quinnipiac poll found that 60 percent of Latino voters in the U.S. said they had not been contacted by a candidate or political party about registering to vote. That cyclical neglect is what keeps many Latinos out of the political process, said Indiana University political science professor Bernard Fraga. Fraga said he feels it’s not too late to communicate with Latinos to get them to go from apathy and mistrust to being fully or somewhat engaged in the political process. He added that though there’s much enthusiasm in Texas around this year’s midterms — and the U.S. Senate race between Ted Cruz and Beto O’Rourke — it’s too soon to see this election as a Latino referendum. Estefana Esquivel, a 19-year-old student at the University of North Texas, is getting ready to vote for the first time. Esquivel said the fears many friends in her native Austin have about family members being deported, combined with her mother’s encouragement, are what motivated her to register to vote about a month ago. “My mom has always told me ‘It’s not just your voice. You’re speaking for the people who can’t speak for themselves,’ ” Esquivel said. Though she is excited to vote this year, Esquivel said she wishes she had more information about the candidates and measures on her ballot. Esquivel added that she wouldn’t register as either a Democrat or Republican, but she wishes both parties would do more to inform eligible Latino voters. Two million Latinos in Texas will turn 18 over the next 10 years. About 95 percent of them will be eligible to vote. Less than half (46 percent) of all Latinos in the state have both citizenship and are over 18 years old. The top issues for respondents were health care, immigration reform and better pay. Latina women are more engaged in voting than Latino men.